The 30 million whose labor funds the parasitic status quo don’t have to rebel; they simply have to stop going to work, stop starting enterprises, stop being productive. Parasites must balance their drive to maximize what they extract from their host with the risk of losing everything by killing their host. This is the dilemma of the parasitic partnership of the central state and financial Elites everywhere: to extract the maximum possible in debt payments and taxes without sparking rebellion and revolution. I have often commented on the current class structure, which paradoxically unites the interests of the top 1/5% of 1% and their political-class toadies and the bottom 50% who are drawing transfer payments/benefits from the state: both support the status quo because both receive direct benefits from it. 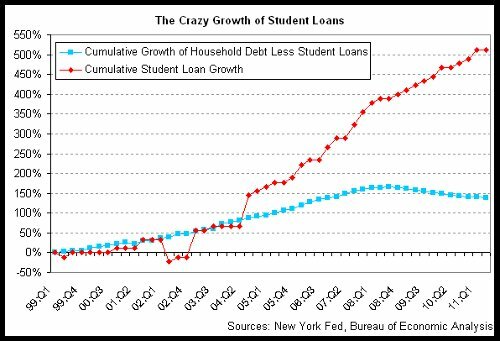 This aligns fairly well with the 48 million drawing SNAP (food stamp) benefits: Food stamp Recipients Hit Record (Zero Hedge). Those qualifying for one program likely qualify for the other. This means roughly 110 million people are drawing significant direct benefits from the Federal government (central state) while the number of full-time workers is 116 million–about a 1-to-1 worker-beneficiary ratio. The problem is two-fold: the entitlement programs are running massive deficits even though the Baby Boom has barely started to enter the programs, and the number of workers earning enough to pay significant income taxes is remarkably limited. As I detailed in The Fraud at the Heart of Social Security (January 17, 2011), the program paid out $707 billion in 2010 and collected $631 billion in taxes, a $76 billion shortfall for 2010. The current program (2012) cost is $817 billion, a leap of $100 billion in a few short years as Baby Boomers flood into the program. Of the roughly 142 million workers in the U.S., 38 million earn less than $10,000 per year, 50 million earn less that $15,000 a year and 61 million earn less than $20,000 annually. All these numbers are drawn directly from Social Security Administration payroll data. Most of the heavy-lifting in terms of paying income taxes falls to about 30 million people, the top 20% of wage earners. This presents the partnership of the financial kleptocracy and the state with an insoluble problem: their parasitic skimming of rentier debt payments and taxes has reduced the income of 95% of the workers, leaving them less able to service more debt and pay more taxes. The parasitic financial class is not about to accept lower wealth accumulation, so the state must protect the cartel-rentier arrangements of the Elites at all costs. But the state must also buy the complicity of 110 million (going on 150 million as the Baby Boom retires) potentially restive citizens, an open-ended spending commitment that is only sustainable if the economy and those employed full-time expand smartly. Alas, financialization (debt-serfdom) and higher taxes (the transformation of the middle class into tax donkeys) have gutted the real economy, driving real income lower for 95% of the workforce that still has earned income. Hmm, what’s a parasitic kleptocracy to do? The ever-resourceful Elites have hit on a solution: 1) print money via central banks and 2) borrow trillions of dollars, euros, yen, yuan, etc. to fund the status quo. These adaptations have enabled the parasites of the financial Elites and the state to maintain their exploitation of their primary host, i.e. the dwindling middle-class of tax donkeys and debt-serfs. But is this rentier arrangement sustainable in the long term? In Nature, parasites weaken the resiliency of the host; when crisis strikes, the weakened host, though superficially stable and strong, suddenly collapses in a heap. The financial parasitism of the state and financial Elites is weakening the real economy everywhere: Japan, China, the European Union and the U.S. Massive money creation and state borrowing are keeping the host-parasite relationship stable for the time being, but the fragility of the host is increasing. The financial-political Elites are confident that they have found a way to maintain their parasitic rentier arrangements–print money, keep all the phantom assets on the books, and keep interest rates low enough that the debt-serfs can still service their debts. In a way, a belief in the value, transparency, trust and reciprocity of the System is like a religious belief. The converts, the true believers, are the ones who work like crazy for the company or the service. And when the veil of illusion is tugged from their eyes, then the Believer does a reversal, and becomes a devout non-believer in the System. He or she drops out, moves to a lower position, or “retires” to some lower level of employment. 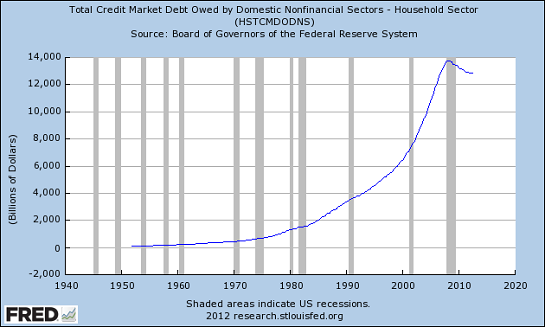 At what point do people choose to opt out of debt/tax-serfdom? What triggers their decision to renounce debt, go off the financial grid, and escape serfdom by fashioning a low-cost lifestyle in the cash economy? At what point do productive people tire of supporting parasitic financial and political Elites and millions of people who aren’t working themselves to the bone to pay taxes and service debt? The more the state pays in benefits and the higher it pushes taxes, the more appealing opting out becomes. The more The Reverse Robin Hoods of the Federal Reserve, Ben Bernanke and his Merry Band of Thieves prints money to fund the parasitic financiers, the more they weaken the real economy and fuel a recognition that the Federal Reserve is the enemy of free enterprise and democracy. Bernanke’s Neofeudal Rentier Economy (May 7, 2013). The 30 million whose labor funds the parasitic status quo don’t have to rebel; they simply have to stop going to work, stop starting enterprises, stop being productive. They just have to tire of being the host, tire of being debt-serfs, tire of being tax donkeys. And when they lay down their burden, there won’t be anyone to pick it up: the parasitic financial and political Elites are incapable of being productive, and the working poor don’t generate enough surplus to fund open-ended benefits for 110 million non-workers. The trick to suppressing revolution is to keep debt-tax serfdom bearable. The parasitic Elites are keeping the host going, but at a high cost in resiliency. Let’s see how long the host lasts once a crisis hits.